That’s good for a start. However, it’s an incomplete definition. If your teacher tells you to write an essay, you’ll be confused. You’ll have an important question on your mind: what kind of essay? Before you start writing any essay, you should understand its requirements. Without knowing what the precise type of paper calls for, you’ll miss the point. As the name itself suggest, the descriptive assignment requires you to describe a certain topic or story in detail. The focus of attention of a descriptive essay can be a place, person, event, experience, or object. You’re using your five senses. You describe how the matter appears to the touch, taste, sound, smell, and sight. Be very specific in the descriptions. Don’t use vague language like “she is very pretty” or “I liked the smell a lot.” Be creative! She looked like someone who just experienced the most precious moment of her life. Her beauty came from the emotions the joy on the inside. She smelled like peonies and sun oil. I could also smell the desert she was just preparing for us. That’s more like it, right? Be the master of comparisons! That’s how you master descriptive essays. Always use active verbs! Passive language is not okay in descriptive essays. This is probably the simplest type of essay, since it doesn’t require much research. When you narrate, you tell a story. That’s the main thing to remember. For example, you can write a story of how someone special affected your life’s goals. It may be your grandfather, who was once an officer and inspired you to serve your country in a different way. The purpose is to share a piece of your own history, provide insight into a personal point of view, or simply entertain the reader with your story. The topic may be focused on a special person, place, or an event. Naturally, you must choose a very specific topic before you start writing the essay. Once you determine the purpose of your narrative essay, state it in a thesis statement. When compared to other types of essays, the thesis statement in a narrative paper is more flexible. It’s your controlling idea, which you’ll build upon. You won’t use arguments to prove the thesis statement in a narrative essay. You’ll be using stories, practical examples, or other details that relate to that idea. Show, don’t tell! The narrative essay should paint a picture. You’re free to use dialogue, quotes, descriptive details, and other elements that make your style more vivid. If you’re mentioning few events in the narrative essay, the best way to present them is by chronological order. That’s the easiest way to write, and it’s a sure way to keep the reader’s attention. 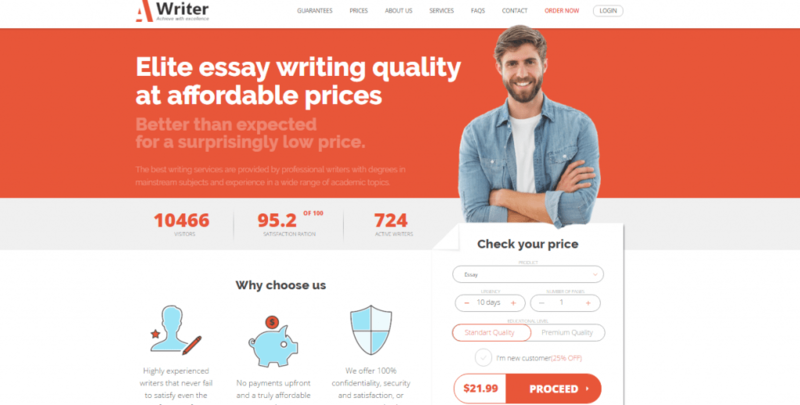 This is the most common type of essay you’ll be writing throughout college and university. Its point is to show your knowledge on a given topic, as well as your capacity to research and discuss various sources. It’s a bit more complex than the narrative and descriptive essay, since it involves the stage of extensive research. The topic may be an idea, belief, or controversial issue. Choose something that gives space for discussion from different points of view. The issue should be very narrow. Before you start writing, conduct research to obtain enough information. Collect evidence in the form of scientific studies, statistics, practical examples, observations, theories and other facts. The thesis statement is the foundation of an argumentative essay. It should clearly and specifically present the controlling idea. Consider the opposite points of view and try to beat them with strong arguments. Inductive – you start by stating the evidence and you guide them down to a single conclusion. Deductive – you start with your own statement (idea or belief), and then you provide supporting evidence. The cause and effect essay explores the links between two things that are connected in a certain way. You explain a phenomenon or event, and then you explain how it caused a different situation. For example, you can write about the way traffic contributes towards the global warming phenomenon. The traffic trends all over the planet is the cause, and the global warming is the effect you’re going to explore. There can be multiple causes to one effect, or one cause of multiple effects. Create an outline that guides you through the exact causes and effects, so you won’t get confused as you write along. The cause and effect essay needs a clear purpose. What goal are you trying to achieve? You may want to persuade the reader that a certain habit causes damage to the way we live, and we should try to change it. In a way, you’re adding a persuasive or argumentative element to the cause and effect essay. Use strong evidence to support your claims. Don’t forget to reference your sources! For this assignment, you have two or more main subjects and you compare them by exposing differences and similarities. The subjects may be people, experiences, theories, places, objects, or ideas. The compare and contrast essay should have a strong thesis statement. Explains what you’re going to be talking about: the similarities, differences, or both? Then, state the main point you’ll come down to once you make those comparisons and contrasts. It’s important to organize a neat outline. Decide what order you’ll follow. Will you opt for point-by-point comparison, or will you first outline the main points of one subject, following with the main points of the other one? Now that you understand the five main types of essays, it will be easier for you to write them. Are you ready?